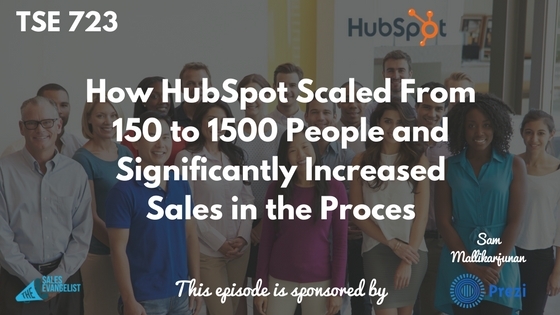 Sales professionals, sales leaders, sales owners – you can get a lot from this episode today. How can you scale your organization? And what better organization there is to look at than HubSpot. Today’s guest is Sam Mallikarjunan. 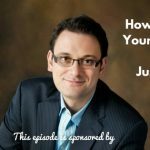 He’s a marketing Fellow at HubSpot and former Head of Growth at HubSpot Labs. He’s going to share with us how Hubspot grew from 150 to 1,500 people in seven different countries. Sam also teaches Digital Marketing at the Harvard University of Continuing Education. Cashflow is more important than your mother. So you have to be able to manage your cashflow. 2. You can’t spend money to get customers unless you’re good at keeping them. If you’re really good at keeping your customers, you can pay your reps really well. You can give them lots of collateral to help them close the deal. Then you spend a lot of money on marketing and training. When Jeff Bezos added negative reviews to the Amazon website, his goal is to make money not to sell things, but to make money when they help people make purchased decisions. Don’t get people to make a decision that you want them to make, but coach them into a decision that’s going to be best for them. You’d be amazed how powerful it is to not sell to somebody. A lot of times, they’ll figure it out themselves. And either buy from you or come back to you in the future to buy from you. The hardest thing to do is to convince people to try it. People aren’t usually driven to change unless there’s an impetus to change.Slow down your sales cycle and ask more questions. Give more answers and focus on helping. Slow that down and you’ll achieve long term business growth. Reach out to Sam via www.samfromthevan.com or www.mallikarjunan.com. Or connect with him on LinkedIn.